Alphas. takeovers and romance. Oh My! Star quarterback Marcus Kingston lives and breathes football. He's trusted his abilities and instincts to get him this far, but an injury last season nearly ended his career. When his coaches want him to wear biofeedback technology to analyze his game, Marcus thinks the idea is ridiculous. Plus, the mousy scientist behind the project knows nothing about sports, and she quickly gets under his skin. But with another QB waiting on the sidelines, Marcus can either agree to participate, or be benched - permanently. 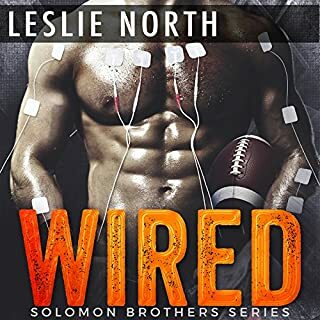 Gabe Maxfield has sacrificed a lot for the family business, but the latest fire he's asked to put out may be too hot for him to handle. Middle brother Gabe Maxfield has always been the dutiful son, working hard for his father's construction business. He has no time for a personal life, and with Duncan Enterprises in trouble, he's under more pressure than ever. An environmental group is targeting them and it's up to Gabe to intervene. Making matters worse, the woman at the head of the protest is his brother's radical yet captivating ex-girlfriend. After growing up in a family of stuffed shirts, Daisy Levine rebelled against corporate America, and now she's set her sights on Duncan Enterprises. But when her ex's clean-cut brother is sent in to negotiate, Daisy's willing to make a deal. Gabe has a month to prove they've gone green, or she'll go public with their lousy environmental record. And since he's willing to please her, Daisy figures it can't hurt to teach him to loosen up a little along the way. It doesn't take long for them to realize they'll have to meet in the middle to get what they want. They may come from opposite extremes, but if straitlaced Gabe and hot-headed Daisy can look beyond their differences, they just may strike the perfect balance. What made the experience of listening to The Billionaire's Rebellious Lover the most enjoyable? 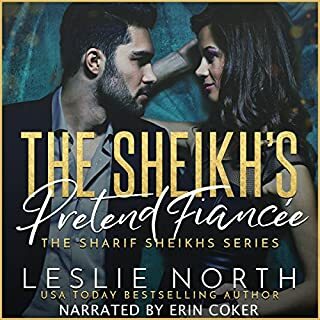 The stories that are well-written, have a good plot-line, great characters, some over-whelming emotions, suspense, and romance, This series is very fun to listen to.. So on with book 3. There's so much tension and misunderstandings and confusion between the characters that you never know what's going to happen next. What do you do when the woman you're falling for is your brothers ex-girlfriend? So much room for misunderstandings and false steps! Connor Brown did a good job with the narration, the character voices were good, but always consistent and sometimes it was hard to tell who was speaking. He has a nice voice and the pacing was good. The story is excellent, it picks up a bit after the first story and carries forward the challenging relationships between the Maxfield brothers and their father, I can't wait for the next part. Note: This book was provided free by the author/narrator/publisher in exchange for an unbiased review. 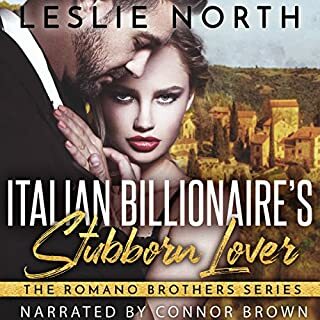 Where does The Billionaire's Rebellious Lover rank among all the audiobooks you’ve listened to so far? That it continued the story from Book 1 without being too much. What does Connor Brown bring to the story that you wouldn’t experience if you just read the book? He moves the story along very well. I think he does all of the voices well. I so loved book 1 in this series. It its really interesting how Leslie North puts such different characters together and makes it work. In this book Gabe and Daisy seem like the most unlikely pair, yet somehow (of course opposites attract) they make it work. Their is a nice amount of drama/thriller to the story to keep you on edge to give you more than just a love story. I enjoyed the first book in this series and this one does not disappoint. The author does a great job creating suspense, drama, and romance. Although this book is part of a series you could listen to it as a standalone. Connor is a great narrator. He brought the story to life and kept my attention all the way through the conclusion. The characters were well developed and interesting. Daisy drove me a bit nuts with her stand on the environment plus she was a bit dense knowing she works for a radical group yet believing their innocence. I was shocked with some of the developments in the story but pleasantly surprised with the conclusion. Leslie North is a great author, whom I've read several of her books. I love the suspense, romance and emotions she puts into her books. I listened to the first book in this series and found this one to be a great continuation. It could be listened to as a standalone, but it was nice for me to be familiar with the Maxfield brothers and their company. Connor Brown did a fantastic performance with this book. I was voluntarily provided with this review copy audiobook at no charge by the author, narrator, and/or publisher. I received this audiobook free for an honest review. I haven't listened to the first book in this series, but that really didn't make a difference to this book. This series is about the relationships of the Maxwell brothers. The author did a good job with the plot line and character development. The narrator did a good job, it was just that sometimes he would rush through the dialogue. I wanted to listen to this book in one sitting. I had already read the first book in the series.and enjoyed it. This one was a joy to listen to. I found it very amusing how two people can so misunderstand each other and get into such a muddle and a mess on the way to true love. It is a story that is well written and beautifully read and I can highly recommend it. The Billionaire's Rebellious Lover is Book 2 in The Maxfield Brothers Series but works as a standalone. Gabe works hard for his father's construction company, Duncan Enterprises, and is all work and no play. When he is sent in to negotiate with an environmental group that is targeting their company, it is his brother's ex-girlfriend Daisy leading the charge. Gabe finds himself attracted to Daisy, which is made awkward by the fact that she used to date his brother. In the end, opposites attract and love wins out. This was a well written and narrated romantic suspense story that I really enjoyed. 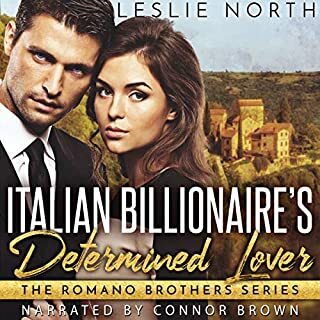 I would recommend The Billionaire's Rebellious Lover. The narration on this book is pretty good. The story line has a lot of potential. For some reason though I just had a lot of trouble getting into it. I don't think it has anything to do with the book, I'm sure it's just me. I actually recommend the story as there was nothing wrong with it at all - it just didn't excite me - might totally do it for everyone else though!